Don’t dilly-dally! Buy your tickets now! The curtain for our 2013 fundraiser – Their Roots Are Showing! – goes up in two weeks’ time on Saturday, October 26, 2013, at 8:00 p.m. Similar in approach to the hit TV show Who Do You Think You Are?, three celebrities with Bay-Area roots—Natalie Coughlin, Billy Beane, and Tim “Herb” Alexander—will find out, live, on stage, the fascinating histories of their ancestors. 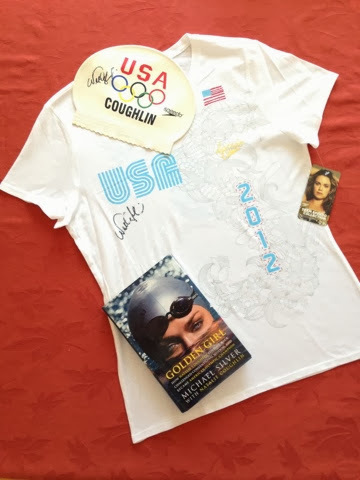 Your ticket to the event also allows you to bid on some truly fabulous items in our Silent Auction, which starts at 7:00 p.m.
Don’t be the last one left in the pool; Come early for your chance to own Natalie memorabilia!